Filling the need for a lab textbook in this rapidly growing field, A Laboratory Course in Tissue Engineering helps students develop hands-on experience. The book contains fifteen standalone experiments based on both classic tissue-engineering approaches and recent advances in the field. Experiments encompass a set of widely applicable techniques: cell culture, microscopy, histology, immunohistochemistry, mechanical testing, soft lithography, and common biochemical assays. In addition to teaching these specific techniques, the experiments emphasize engineering analysis, mathematical modeling, and statistical experimental design. 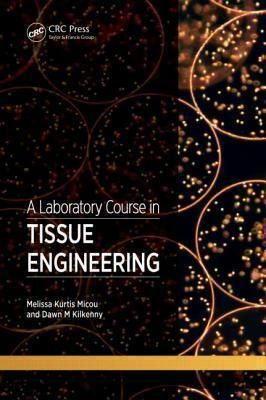 A Solid Foundation in Tissue Engineering-and Communication Skills Each experiment includes background information, learning objectives, an overview, safety notes, a list of materials, recipes, methods, pre- and postlab questions, and references. Emphasizing the importance for engineering students to develop strong communication skills, each experiment also contains a data analysis and reporting section that supplies a framework for succinctly documenting key results. A separate chapter provides guidelines for reporting results in the form of a technical report, journal article, extended abstract, abstract, or technical poster. Customize Your Courses with More Than a Semester's Worth of Experiments The book is a convenient source of instructional material appropriate for undergraduate or graduate students with fundamental knowledge of engineering and cell biology. All of the experiments have been extensively tested to improve the likelihood of successful data collection. In addition, to minimize lab costs, the experiments make extensive use of equipment commonly found in laboratories equipped for tissue culture. A solutions manual, available with qualifying course adoption, includes answers to pre- and postlab questions, suggested equipment suppliers and product numbers, and other resources to help plan a new tissue engineering course.